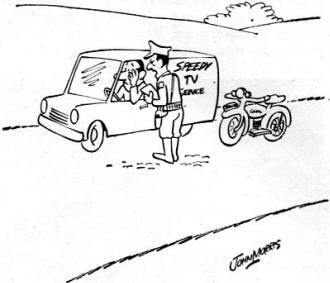 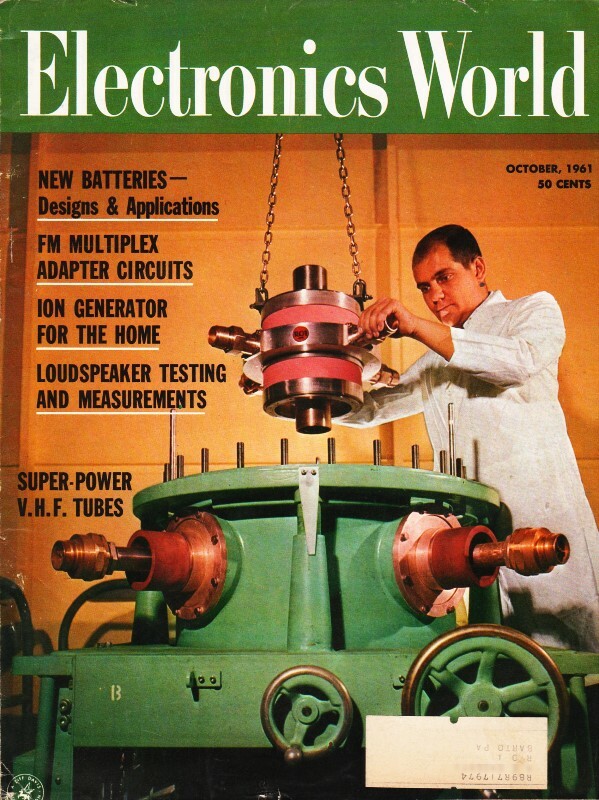 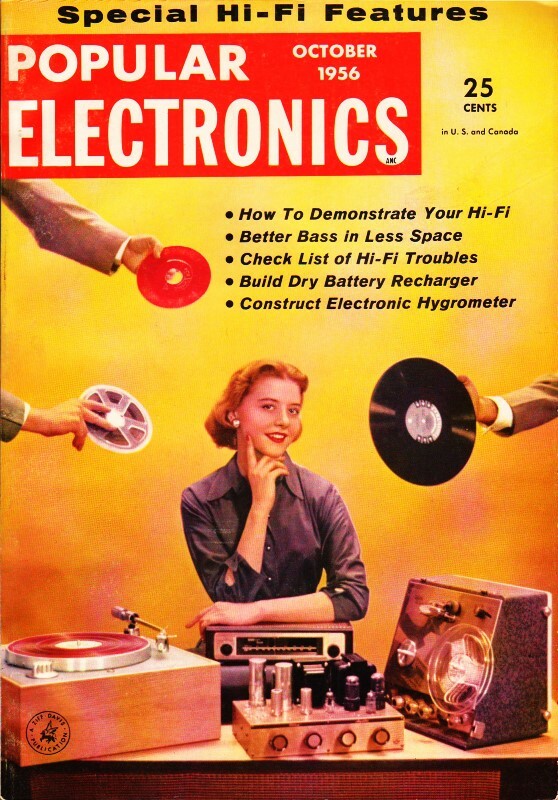 Here for your Friday afternoon wind-down are these electronics-themed comics from vintage issues of Electronics World and Popular Electronics magazines. 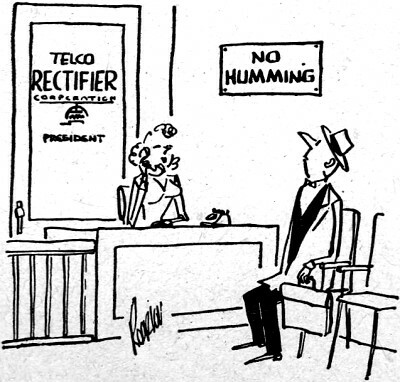 The sign on the Telco Rectifier Components president's wall is especially good. These comics make good fodder for opening your technical presentations. 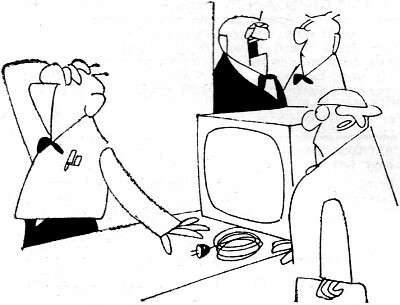 "Farnsworth has a nice technique when they mention the trouble." "That's 34 service calls you owe me."